A radish is an edible root vegetable of the Brassicaceae family. Radishes were domesticated in Europe in pre-Roman times. They are grown and consumed throughout the world and are mostly eaten raw as a crunchy salad vegetable. 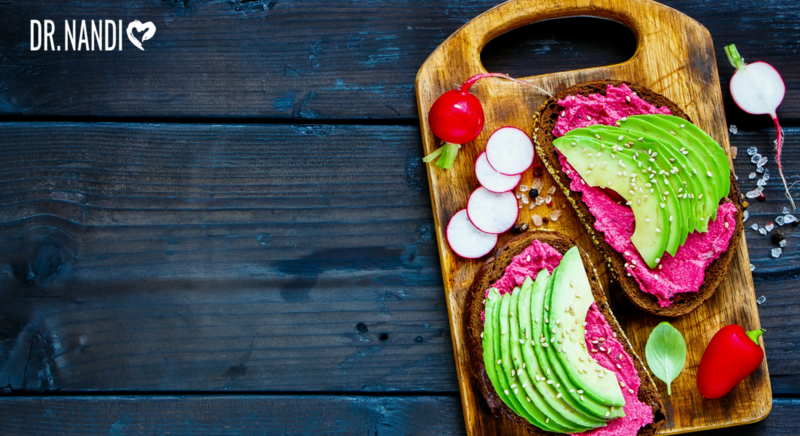 Researchers have discovered that radishes are very good for the liver and stomach, and they act as a powerful detoxifier as well. Studies have found that radishes help to purify the blood and eliminate toxins and waste. They are extremely useful in treating jaundice because they can remove bilirubin and also keep its production at a stable level. 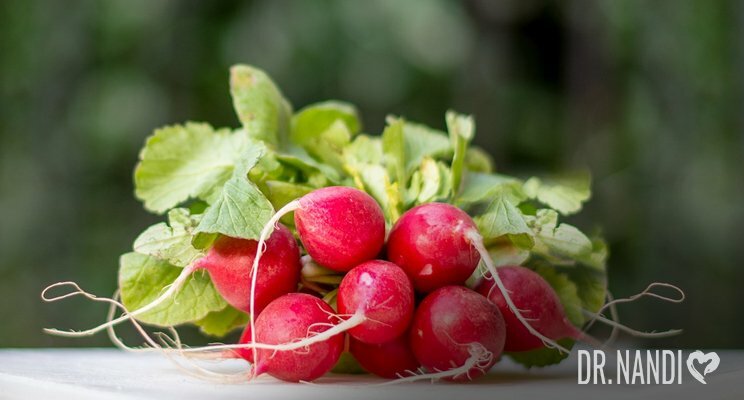 Radishes are known to reduce the destruction of red blood cells that occurs in people suffering from jaundice by increasing the supply of fresh oxygen to the blood. Black radishes are more preferred in the treatment of jaundice, and radish leaves are also beneficial in treating jaundice. 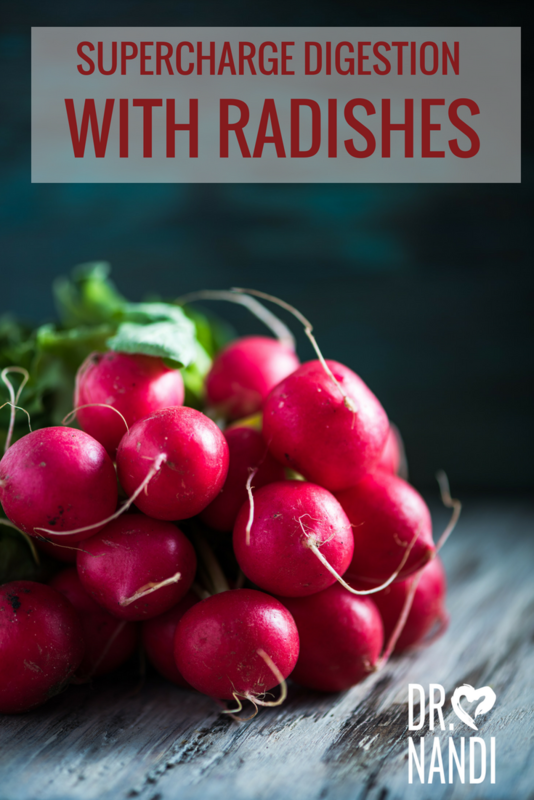 Research is being conducted on radishes and their ability to treat cancer because then are known detoxifiers and are high in vitamin C, folic acid and anthocyanins. Research is showing promising results, especially when treating colon, kidney stomach and oral cancer. Radishes, as do other cruciferous vegetables, are packed with antioxidants. Radishes contain isothiocyanates which have an impact on the genetic pathways of cancerous cells. Isothiocyanates alter the pathways so much that they can cause cell death which stops cancerous cells from reproducing. Researchers have known that radishes are a wonderful source of potassium which is known for its ability to reduce blood pressure. Potassium can relax the blood vessels and therefore increase blood flow. The potassium in radishes is also known to reduce blood pressure by widening the flow of the blood, instead of forcing it through narrow, constricted channels. Many studies have found that the radish is natural antifungal. Radishes contain the antifungal protein RsAFP2. A recent study found RsAFP2 has the ability to cause cell death in Candida albicans. This is a common fungus normally found in humans. When Candida albicans overgrows, it may cause vaginal yeast infections, oral yeast infections (thrush), and invasive candidiasis. A promising study in mice has shown that RsAFP2 was not only effective against Candida albicans, but also other Candida species but to a lesser degree. More research is being conducted on radishes and their ability as a natural antifungal. Radishes have 1 gram of fiber per serving. Consuming a couple servings each day can help you reach your daily fiber intake. Fiber is well known to help prevent constipation by bulking up stool which helps waste move through the intestines. Fiber is also thought to help manage blood sugar levels and has been linked to weight loss and lower cholesterol. The leaves of radishes may be especially beneficial. Results of a study on rats fed a high-cholesterol diet suggest that radish leaves are a good source of fiber to help improve digestive function. This may be partially due to increased bile production. Another very promising study found that radish juice may help prevent gastric ulcers by protecting gastric tissue and strengthening the mucosal barrier. This is very important because the mucosal barrier protects the stomach and intestines against unfriendly microorganisms and damaging toxins that may cause ulcers and inflammation.